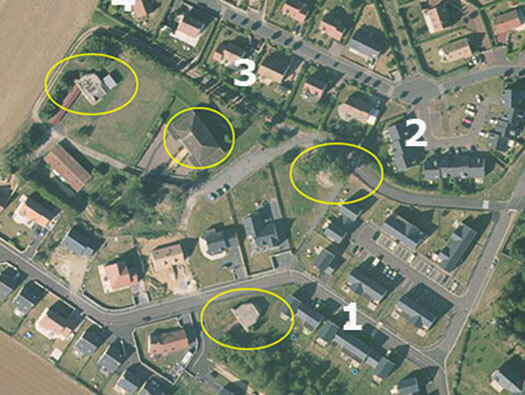 Wn16 Colleville-sur-Orne [Morris], K.V.U.Gr Riva-Bella, K.V.Gr Caen. 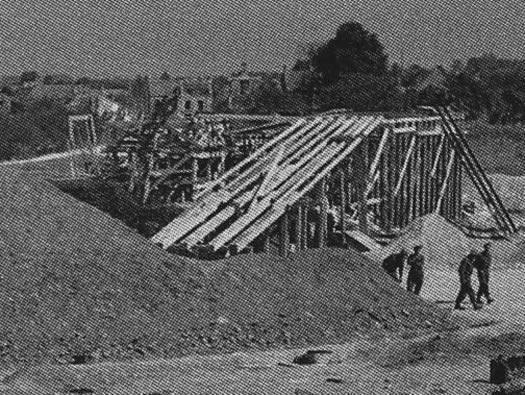 4 x R669 casemate, one under construction. 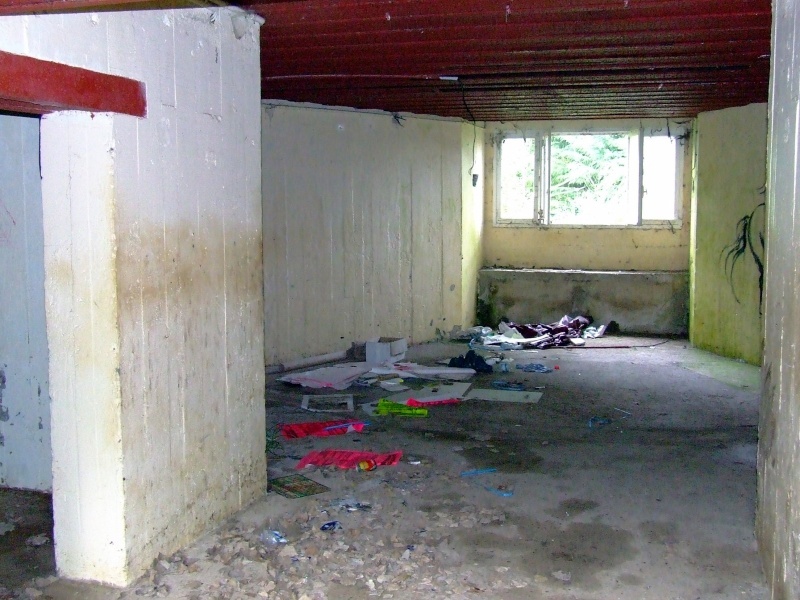 4 x Geschützstellung [field bunkers]. 4 x 10cm le. F.H.14/19(t) guns. 10cm le. 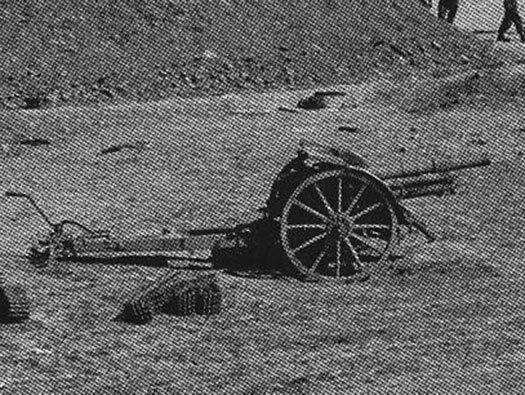 F.H.14/19(t) gun at Wn16. 10cm le. F.H.14/19(t) guns were horse drawn. 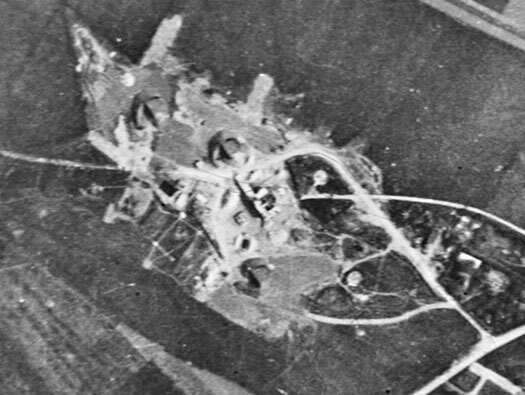 An air photo of the batterie with the four casemates under construction with at least three open emplacements can be seen. 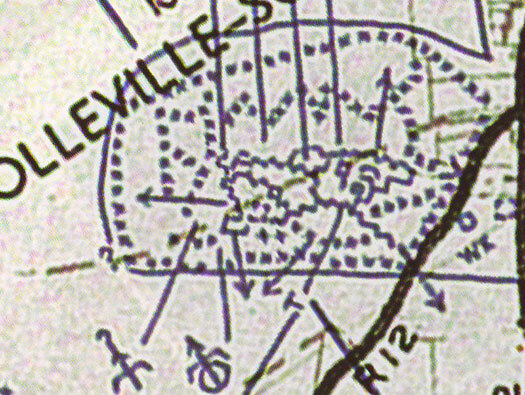 Bigot map of Wn16 showing the gun position, the minefield defence and trenches. 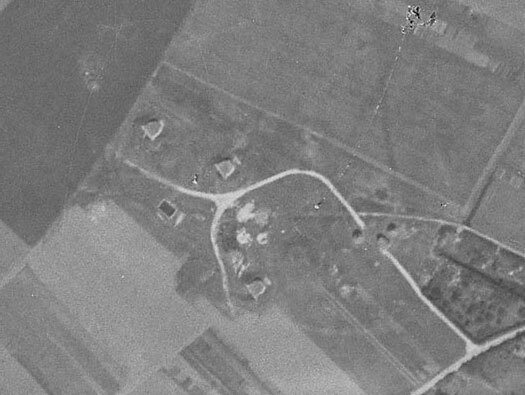 Wn16 on a German map. 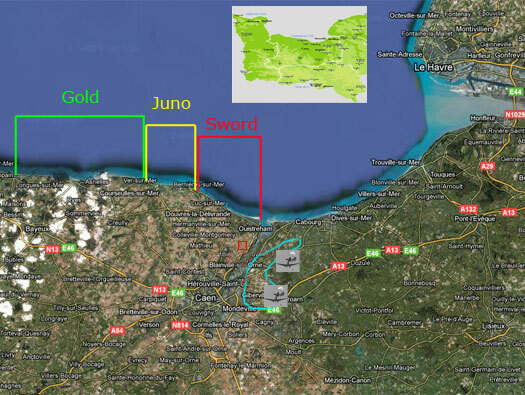 Fire plan for the beach in the event of an Allied invasion. The three call down names here are Freiburg, Füssen, Engers. A nice air photo taken in 1947 of what remained then. 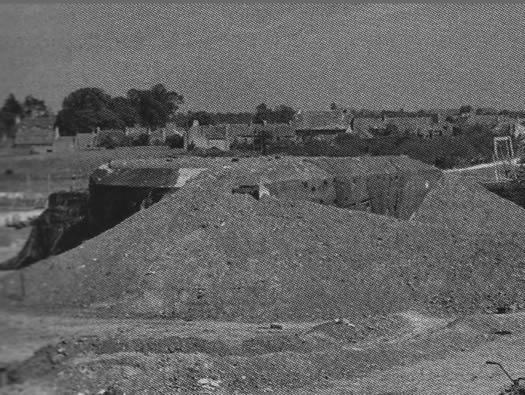 The three casemates and the water reservoir can be seen. Firing from a field position. A box of 10cm ammunition. 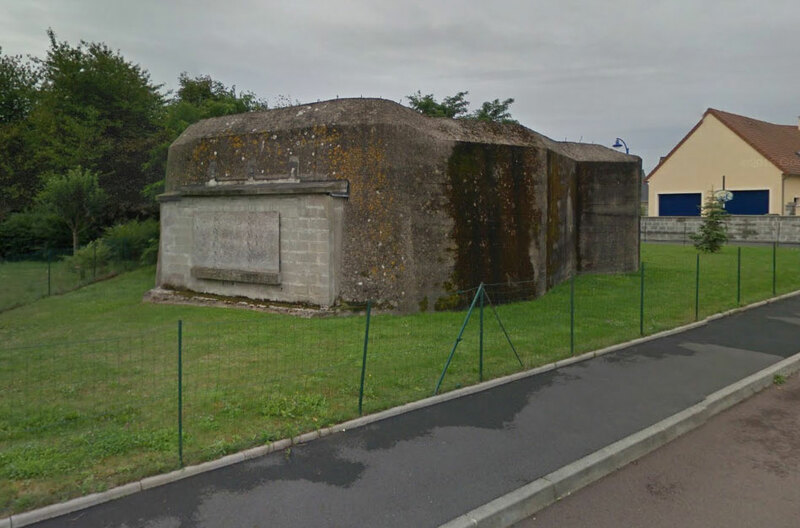 Wn16 Colleville-sur-Orne R669 casemate Turm 1. 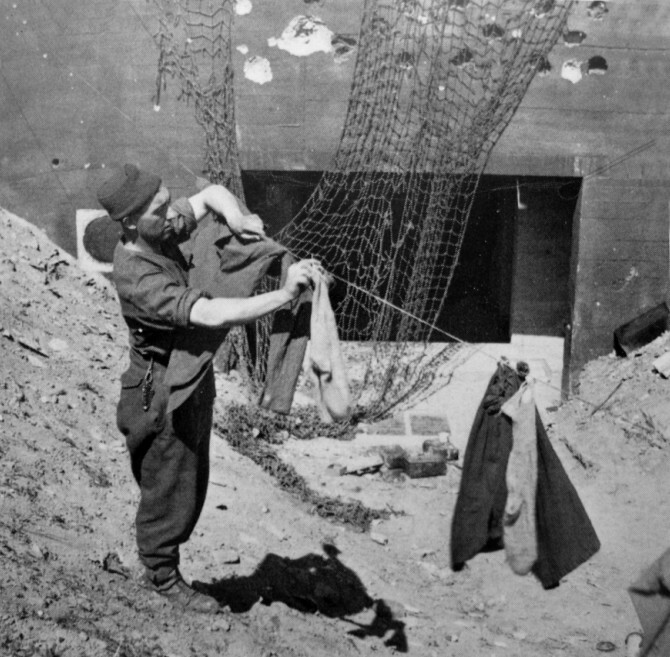 R669 casemate, Hitler decided after the constant bombing of open gun emplacements that they needed top cover and one design was the R669. It allows a gun to fire on a 60° angle of fire. With two small ammunition niches behind the gun room. Also the roof of the casemate has extraction vents to allow smoke from the gun to be extracted via an electric fan. Plan of the extraction pipe work. The rear of the casemate showing the rear door. There is a vent to the left of the door to allow the foul gasses to leave the bunker. Extraction fan in left hand niche. Cleaning brushes would be hung on the wall. Gun room just showing the left hand ammunition niche. 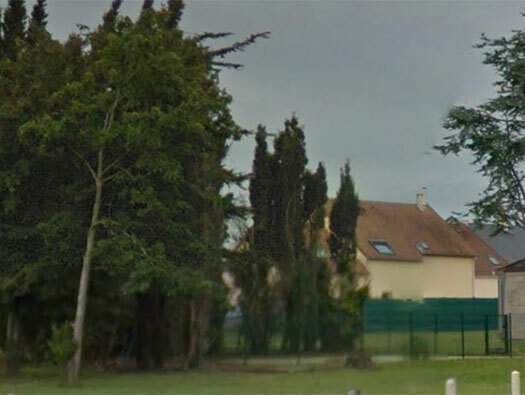 Wn16 Colleville-sur-Orne Open emplacement, ringstand Turm 2. The last ringstand still in place. 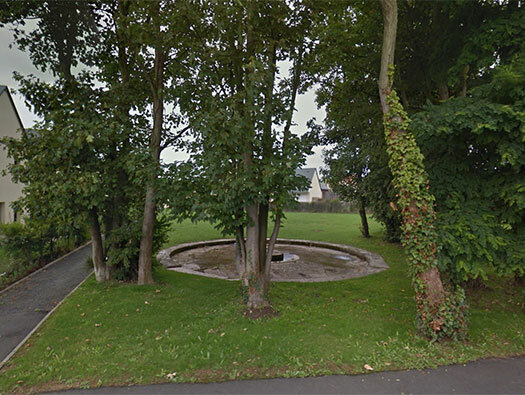 The gun would sit on the concrete and tied down to the centre and could swivel 360°. Three batteries of 10cm horse artillery. 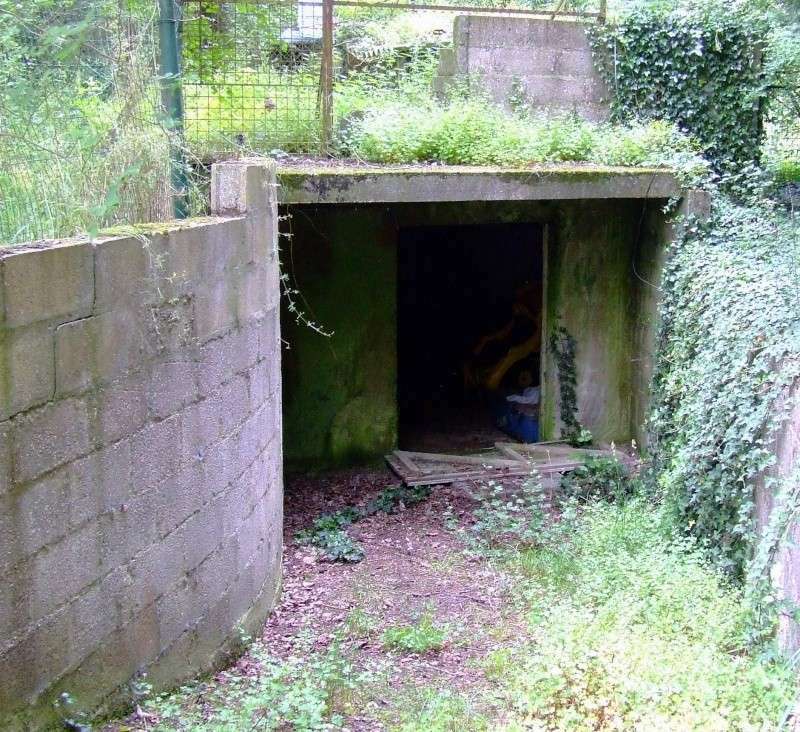 Wn16 Colleville-sur-Orne R669 casemate Turm 3. 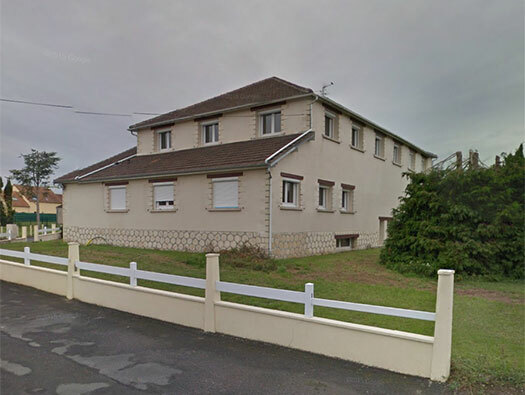 Inside this now very large house is an R669 casemate. Its gradually been built over and just got bigger. Water reservoir set behind the batterie position. Wn16 Colleville-sur-Orne R669 Turm 4. Just up the track and the last appears..
Random camouflage set into the concrete. Possibly each gun had a separate ammunition store like this one. 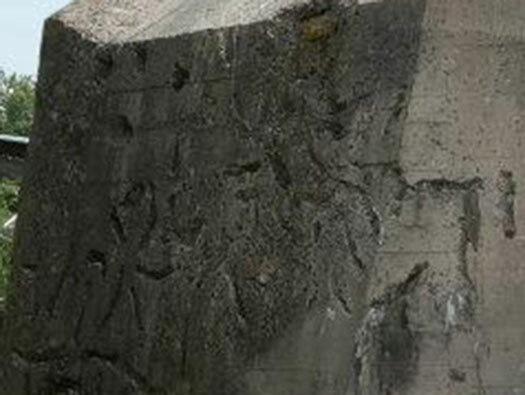 After construction earth was banked up around the casemate to help to camouflage it and also adds a bit more protection/strength when being bombed or shelled. 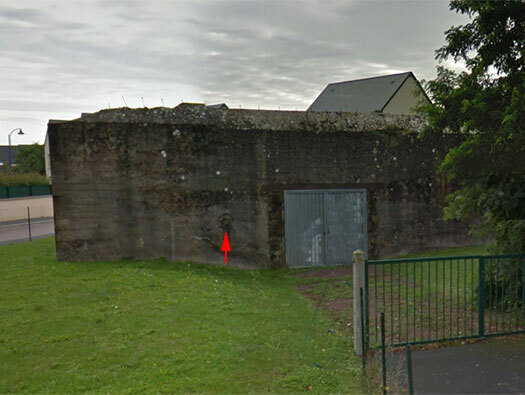 A casemate at Merville Wn01 with the earth banked around the casemate. After capture what else could a soldier do but hang up his washing. The final one under-construction with the timber framework being nailed in place. Wn16 Colleville-sur-Orne 10cm le. F.H.14/19(t) guns. 10cm le. F.H.14/19(t) guns. A 10cm Field Howitzer (t) Czechoslovakian captured gun and re used here. The horses would have been kept near on a farm or a stable and one may be used to bring up stores in a wagon and others bring up spare ammunition from the inland ammunition stores.